Dr. Barrows was very thurogh and treated my issues to my complete satisfaction. Very professional, friendly, thorough & efficient what more can I ask for... Great staff members, his nurses are exceptionaland so friendly. Highly recommended!! Very professional, friendly, thorough & efficient what more can I ask for... Great staff members, his nurses are exceptional and so friendly. Highly recommended!! When booking with Dr. Matthew Barrows in the Allen location, patients will be served by Matthew Bruno, PA. Matthew Bruno is our skilled and dependable Physician Assistant at our Allen, TX location. 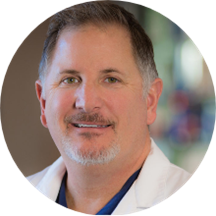 With a clinical background in general and occupational medicine and a focus on dermatology, Matthew is nationally certified as a Physician Assistant (PA-C) and is licensed to practice in the state of Texas. He joined Dermatology & Skin Cancer Surgery Center in 2006. Matthew is trained to diagnose, treat, and help patients manage everyday skin problems such as acne, rosacea, and psoriasis, as well as perform specialized treatments such as skin cancer removal. He works with patients who have ongoing dermatology needs, and his patients value his attention to detail and compassionate demeanor. Serving multiple locations across Texas, Dr. Matthew Barrows is a reliable dermatologist. He is excited to bring his knowledge to Dermatology & Skin Cancer Surgery Center, where he manages concerns such as skin allergies, age spots, cysts, nail problems, warts. Dr. Barrows received his medical degree from Texas Tech University, Lubbock. He further completed an internship in general surgery at Texas Tech University, followed by a residency in dermatology at the same institution. He is also certified by the American Board of Dermatology. Dr. Barrows combines his dermatologic skills to achieve skin health, and help restore a natural look of beauty, in an individualized manner for every patient. He also holds active memberships in the American Society for Laser Medicine and Surgery, American Society for Mohs Surgery, and the American Academy of Dermatology. Had surgery for squamis cell carcinoma, but visit was routine, just as before.